Under the Svarnim Puducherry initiative, Sri Aurobindo Society has taken the initiative to launch the “Our Responsibility to Children” (ORC) project in government schools of Puducherry, and for the current academic year, SAS has taken up five schools as suggested/recommended by the Department of Education. As part of the ongoing ORC activities in Puducherry, on December 18, 2018, the ORC team comprising Raghunath. T.P., Dr. Francis Jayachandran, Ms. Shalini Arvindan, Ms. Yuvarani and Dr. P.R. 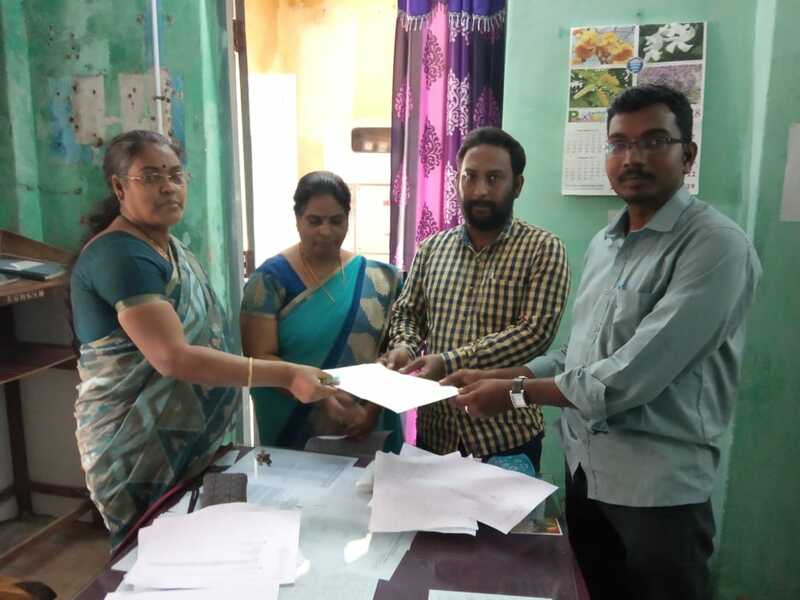 Vinothkumar visited Savarirayalu Naicker Government Girls High School, Nidarajapayer Street, Puducherry and met the Headmistress Ms. D. Selvi and explained the objectives of the ORC programme to her. She was extremely receptive and immediately said that they would be happy to associate with and work on this programme. This is a High School and 362 students between Class VI and X study in the school. During discussions with the Headmistress, the ORC team noted that most of the children studying in this school are from Govindasalai and Saram and are from poor socioeconomic background with their parents working mostly as househelps or as daily wage labourers. Teachers reported that the school faces challenges such as absenteeism, slow learning, emotional issues, etc. They said that they handled these challenges by counseling the students and meeting parents. The teachers admitted that they had not yet achieved the desired goals so far. On December 19, 2018, the ORC team visited Thillayadi Valliammai Government High School, Kathirgamam, Puducherry and met its school officials, Mr. M. Gerard Louis, TGT and M. Camatchy, TGT and explained the objectives of the ORC programme to them. They were very positive in their response and said that they would like to be a part the programme. Thillayadi Valliammai is a High School and 670 children study here between Class VI and X. Out of the 670 children, 284 study in 9th and 10th standards. During discussions with the teachers, it was revealed that most of these children hail from Mettupalayam to Iyankuttipalayam and are from poor socioeconomic background with their parents working as daily wage labourers. Teachers reported that the children have family problems, slow learning issues, etc. This school has a very strong parents–teacher association and they meet at least five times in a year. The school also conducts special coaching for 10th standard students in the evenings where parents take equal responsibility of organizing refreshments for the students. This collaborative effort has resulted in 100% students passing Class 10 for the past seven years which led to the State Government recognizing and awarding the school. 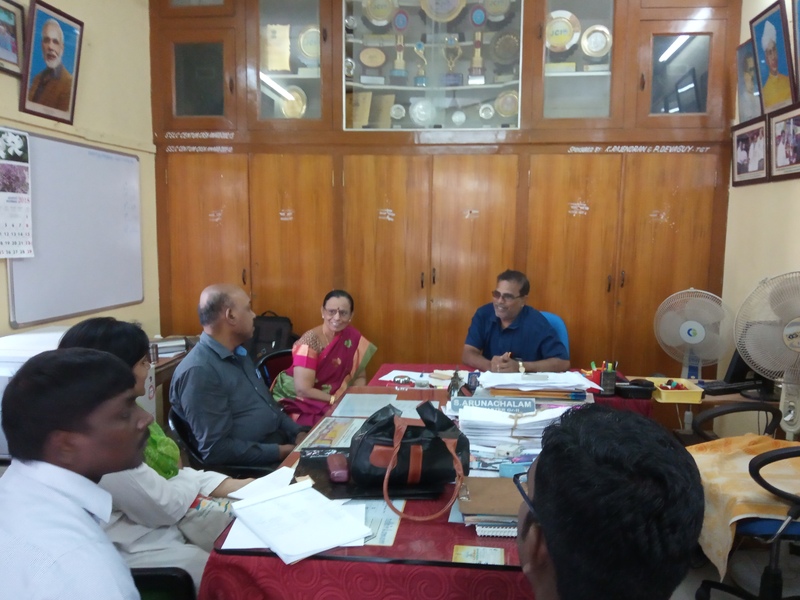 Following this, the ORC team visited Jeevanantham Government Higher Secondary School, Karamanikuppam, Puducherry and met Vice-Principal, Mr. K. Chandrasekaran and explained the objectives of the ORC programme to him. Very interested, he too confirmed that the school would be happy to associate with and work on this programme. Jeevanandham Government Higher Secondary School is a Boys School and 908 students study here between Classes VI and XII. 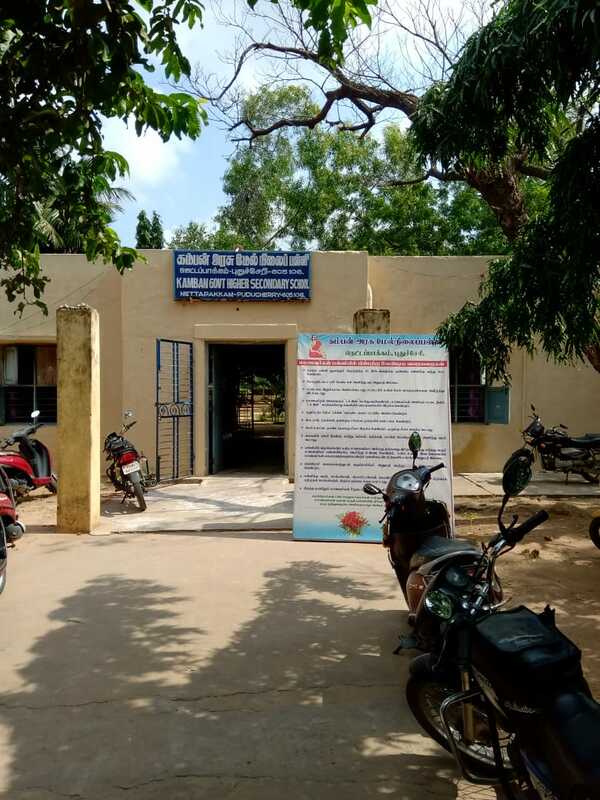 The vice-principal stated that most children studying in this school are from Anitha Nagar, Periyar Nagar, Mudaliarpet, Villiyanur, Ariyankuppam and Nellithope. Majority of them hail from poor socioeconomic background and their parents work as daily wage labourers. He also reported that the children have behavioural issues and that a few students are engaged in substance abuse and other destructive habits. He also said that the parents–teacher association is robust here and they meet at least three times in a year. Finally, on December 20, 2018, the ORC team visited Kamban Government Higher Secondary School, Nettappakkam and had a preliminary discussion with Mrs. Sivakami, Principal of the school. It is a co-education school and 964 children study here from Class VI to XII. The parents of these children are mainly agricultural labourers. The parents–teacher association is very healthy in this school and they meet every fortnight. Since most of the parents belong to an agricultural background, the PTA meetings are usually held after 4 p.m. The school has a health centre where doctors from the neighbouring PHC visit for an hour, every day. The school also has a dedicated room for counseling and selected teachers from the school act as counselors. Besides, the school also organizes 30 days’ summer camp on computer education for children from nearby villages. The ORC team let all the above schools know that the team would visit them again to conduct a need-based assessment study amongst students, teachers and parents. They were also assured that there would be half-a-day training for all the teachers in the school to fill up the “I Know My Student Card”, once the teachers return from their half-yearly vacation.